When was the last time you were asked to join a committee? Did you have a deep sigh of angst or a smile of excitement. Your reaction was probably the former, which is not uncommon. 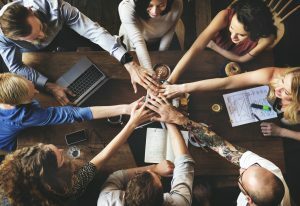 Most professionals I know are involved in one if not multiple volunteer committees and seem either frustrated or lukewarm about the purpose or progress of the committee. Participating in committees is a great opportunity to get diverse voices and perspectives to inform complicated issues and bring forward new solutions. Committee work can also be a great leadership development and community engagement opportunity for staff. When we take the time to be thoughtful about our role and involvement, then we can accelerate the impact of our committee work. Part of our project management work includes providing staff support for different volunteer committees. These include the Governor-appointed Indiana Early Learning Advisory Committee, Healthy Families Indiana Think Tank, and community-based coalitions (read more here). Many of my team members are also involved in committees as a volunteer. As a result, we sit on both sides of the table. 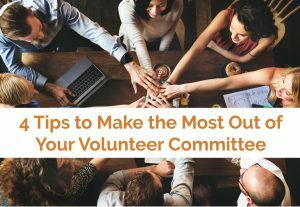 It’s with this broad perspective that we share the following tips for how you can make the most of your committee work! You or your organization were hopefully strategically asked to join this committee. Do you have a clear understanding of your purpose for being on the committee? Are you representing a specific perspective (industry type, stakeholder type, subject matter expertise, etc. ), and the leaders are wanting you to share your perspective on behalf of this group? If you are not clear, ask the leaders up front when you are joining. In addition, what are the leaders expecting you to do on this committee? Is this a working committee that is developing a proposal or reworking policies/ programs? How much time and involvement is expected of you on this committee? Are the leaders of the committee expecting you to share information you learn at the committee with others in your circle or industry? I was recently asked to join the Wabash County Early Childhood Education Steering Committee, which is responsible for overseeing the implementation of the strategic plan and supporting the working committees. When I joined, I was informed of the reason I was being asked to join, the purpose of our work, and the time commitment for the Steering Committee. I understand my role and the purpose of the group. A well-run committee should have these expectations and obligations clearly articulated from the beginning, so there is no “gotcha” later when they ask you to do something you didn’t know you were supposed to do. By having this clarity, you should have a stronger sense of purpose and meaning for participating on this committee. Once you know the purpose of the committee and your expectations for involvement, now it is time to assess your personal role and contribution. What type of “talent” can you contribute to the committee? Do you bring a unique perspective that no one else on the committee shares? Can you gather information or review information in a way that no one else can contribute? My colleague, Sara Anderson, was asked to join our local county’s Juvenile Detention Alternatives Initiative Data Committee. Leaders of the committee became aware of our data expertise and had a need for more assistance. Sara learned more about the committee’s data needs, helped them organize the data into a dashboard (see more here and here about our dashboard work!) to visualize and share with the other committees the impact of their work and made recommendations to improve the data being collected. Reflect on what ways you can add value to the committee’s work and offer it to the leadership and the group. This will provide more purpose and meaning with the committee and also improve the overall work of the group. Usually before each committee meeting, the leadership will send out meeting materials (agenda, handouts, etc.) in advance of the committee meeting. If you make the time to review those materials and any other follow-up from the last meeting, you will be able to contribute more in the committee meeting. It will give you a sense of purpose for the meeting and how you can participate/ add to the discussion. By preparing for the committee in advance, you can also be prepared to ask thoughtful questions or gather other helpful information that could contribute to the discussion. Nothing is worse than showing up to a committee meeting where action is supposed to be taken and feeling like the other members did not do the prep needed to have a meaningful discussion. Hopefully through your engagement on your committees you are learning new information. Now you are informed and equipped to share this information with your colleagues and industry. Again, you might strategically be asked to share information with your network. Even if you are not asked, odds are that they would still benefit from learning about your work. For the state advisory groups that we staff and provide backbone support, many committee members find value in participating in the groups because they learn what is happening across the state. Then they are more informed to take that information back to their community and network to help get everyone on the same page and expand the discussion. Assess the information that you have received and learned through your committee work and think about who in your network could find value in it. Maybe it is simply a quick post on a social media channel, including a blurb in your next e-newsletter or sending out an email. Whatever the communication medium, make sure to pass along what you are learning with relevant parties involved! Do you have a committee that has stalled and needs some help? Contact us for a free consultation to see if we might be able to help you! Are You Ready for a Federal Grant? Receiving a federal grant can be a great way to accelerate your impact. There are many positive attributes in applying for and receiving a federal grant. Federal grants tend to be for larger amounts and are often multi-year funding to name a few. However, federal grant applications are complex and not easy to navigate. We have successfully helped several organizations apply for and receive multi-million dollar federal grants. These grants have really helped to strengthen the organization’s infrastructure, expand their reach, and impact more individuals. There are some times, however, that we recommend a client not pursue a federal grant opportunity. Federal grants are very competitive. When they are national, you can be competing with hundreds of proposals. Nearly every federal grant application will begin with a “Need Section” where the applicant is asked to explain the need for this grant funding and support. One of the ways to stand out is to make sure your geographical community and target population fit the profile of need. Then you will want to pull from various public data sources, using citations, to make the case. Depending on the proposal, we might also include some relevant research and citations that back up the need and proposed intervention (Check out this blog for our go to data sources!). Treat the writing of this section more like an academic college paper. When organizations are ready to apply for a federal grant, they need to have a strong design of their program. Many federal agencies are promoting “research-based” and “evidence-based” programs and services (See this blog for more insight!). If your program does not meet those thresholds, which is not always a requirement, then work to make the case for the program’s rigor and (hopefully) close alignment to evidence-based programs and elements of evidence-based programs. There is an overall trend in grant making where more and more funders are wanting to invest their resources in organizations with sound data and results. They want to see the outcomes and solid data to backup your impact. Make sure your program has outcomes and not just outputs (See this blog for some help with outcomes!). If you are a new program or proposing a new intervention, then it is more difficult since you most likely haven’t proven yourself. This is where having a strong, close alignment to an evidence-based program model is helpful and may serve as a proxy for your impact. Last but certainly not least, your organization needs to have strong fiscal controls in place to account for your federal grant dollars. You never know when the federal government will request an audit of your grant funding, so you want to have good systems in place to be able to account for those specific funds. We had one client go through an audit due to some concerning issues with their federal program officer (not anything they were doing wrong), and it was quite laborious and time consuming since this was their first federal grant. They didn’t have all of the separate accounting systems in place. Make sure you are ready to track, monitor and account for your federal funding. If your organization can check all four boxes, then it may be time for you to consider a federal grant opportunity that could propel your impact and reach forward. If your organization can’t check all of the boxes yet, then you may need some support to help you get ready. The good news is we can help you in either scenario. Give us a call today to schedule a free consultation and see how federal grants may be a good fit for your organization! In this past blog we talked about the 4 Steps of Strategic Planning that we follow. A quick recap of the 4 steps are: Collaborate, Assess, Facilitate and Create. A few weeks ago we shared more about Step 1 in that process: “Collaborate”. Today we are continuing our blog series on strategic planning by focusing on Step 2 in the process: “Assess”. With many of our clients and partners, we find that they immediately want to jump to Steps 3 and 4 of the process, which is about goal and strategy setting. By skipping over Steps 1 and 2, organizations are missing out on a critical opportunity to get buy in and input from key stakeholders as well as embed a thoughtful review in the planning process. We divide the assessment phase of the strategic planning process into two parts: Internal and External Assessment. Organizational review: The internal assessment includes an analysis of the organization by looking at financial statements, programming, and organizational structure. This might include summary reports of the organization and programs to determine results accomplished. You will want to look for trends, gaps and opportunities. Stakeholder feedback: We have several blogs that talk about stakeholder feedback here and here. Don’t forget to talk internally within your organization about the strategic plan by reaching out to clients (if appropriate), staff, volunteers, and board of directors. Environmental Scan: The external assessment may include collecting information about the industry and sector that the organization operates. It might be helpful to provide a brief update about the latest research, policies and best practices that inform the work of your organization. Community needs assessment: It might be helpful to complete an updated needs assessment of your community or targeted audience to ensure strong alignment with programs and needs. We have some blogs about this here and here. Stakeholder feedback: Just like an internal assessment, there are some key stakeholders to reach out to for feedback and input to inform your planning process. This might include current and past funders, other community partners, and the public. While completing a new strategic plan for Healthy Families Indiana, we included both an internal and an external assessment. We gathered key data points about the organization to bring to the planning team for review and discussion. We also completed an organizational history timeline exercise to help bring everyone together about the key milestones accomplished over the life of the program in the state. We sought feedback from various stakeholders within the organization, which included staff at different levels (direct service staff, supervisors and program managers) and across the state. We also sought feedback from external stakeholders by reaching out to community partners who make referrals and have shared goals. These components provided important context to inform the discussion about goals for the future. Pre-read report – We develop a narrative report that summarizes all of the information collected in the internal and external assessment. We use graphs and tables to make it as user-friendly as possible. It’s helpful to share this report in advance of a planning meeting or retreat, so that the team can review the information before meeting. Presentation – A presentation can be a simpler way of compiling the information and sharing it with the planning team. Sometimes we create both a narrative report and a presentation that summarizes the information gathered. The slide deck presentation can be helpful to highlight some of the key findings during the assessment phase. Dashboard – We talk about creating dashboards in this blog. Basically we love dashboards and how helpful they are to display multiple data points in a user-friendly format. We love to create dashboards that summarize internal and external assessment data to share with the planning team. See this one we created for a community strategic plan. The main purpose of the “Assess” step in the strategic planning process is to gather important information to share with your planning team, so that they are well informed and equipped to develop a plan for the future. We would love to partner with your organization in developing a strategic plan. Contact us for more information! Too often non-profits and government agencies immediately begin implementing a new program or service area. They see a need with their clients or a gap in the existing services, so they elect to help meet that need. This all sounds good, right? The challenge is that there has not been enough time to complete a comprehensive planning and assessment process to develop the program or service. One service we offer our clients to meet this need is completing a feasibility study. 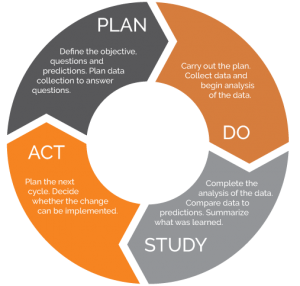 We follow the Plan-Do-Study-Act or “PDSA” continuous quality improvement cycle (learn more in this blog). We help clients assess, design, launch and evaluate programs and services in order to meet community needs and apply the latest research. When following this approach, we most often find that clients tend to skip the first step “Plan” and jump straight to “Do” as mentioned above. We work to help our clients thoughtfully plan out their services, programs, and interventions before they implement them to get the impact and desired change they are working towards. Implementing a feasibility study is a great tool to complete a thoughtful planning process. A well designed feasibility study will help an organization assess 1) if what they are thinking of implementing is possible and 2) how to consider implementing it. We are currently working with a group of community leaders in Jay County to complete the feasibility of converting an old elementary school building into an early childhood center. Like many rural communities, Jay County has a declining population that has impacted their local schools in continuing to operate multiple school buildings, which has resulted in school consolidations and closures. At the same time, their rural community also struggles with attracting new employers due to a lack of child care for a growing workforce. Their community leaders had the idea of converting a closed elementary school into an early childhood center but wanted assistance in completing a feasibility study first. During this step you want to gather key information about your targeted population. This includes collecting demographic information from online public sources. This helps create a composite of your targeted community and population. We also suggest completing a landscape assessment to identify any other organization providing similar services or working with the target population. Lastly, it’s important to gather some qualitative feedback from various key stakeholders in the community to determine what they think the needs and gaps are as well as build community will for possibly launching a new service. This can be done through focus groups, surveys, and key informant interviews. The purpose of this step is to ensure that there is in fact a need for your proposed program/ service. Check out this blog for more insight on completing a community needs assessment! During this step you will want to complete some research on your targeted service area. For Jay County, we are gathering the latest research on early childhood program models and services that lead to the desired outcomes they are seeking. Our landscape scan is also looking at existing program models in the community so as to not duplicate existing options but to consider complementary program models that will meet the needs of communities. If you are seeking external funding, you may want to adopt or align your program around research-based models that have demonstrated outcomes. This will provide confidence to potential funders in implementing a new program. The purpose of this step is to determine the best model and design for implementing your program. Check out this blog for more tips on finding evidence-based programs. The next step is to develop the business model for operating the program. During this phase of the feasibility study you will gather important financial information that will help you understand what it will cost to implement the program and potential sources of funding. You should create a budget and possibly complete some financial forecasting to show start-up costs and when the program would “break even” or be self-sustaining. This step should also assess the operations behind implementing the program, which includes the staffing model, materials and services, training, facility, technology, equipment and other program needs. With Jay County, we are completing walk-throughs of three possible locations with an architect and construction group to inform the best location to operate an early childhood center. This will inform the potential capacity to serve children, the staffing needs and ultimately budget the break down for start-up costs versus ongoing maintenance costs. The purpose of this step is to think through all of the components needed to successfully implement the program. Check out this blog for some tips to establish financial goals. The last (and sometimes forgotten) step is to develop a communications strategy if you decide to launch the new program. After spending all of this time assessing and planning the design of the program, you want to ensure that the targeted audience knows about the program and enrolls/ participates. The communications plan would include determining the current knowledge base in the community, so there might need to be some education and awareness about why you are providing this service especially if it is new and different. In Jay County, we are launching a PR Campaign through a series of op-eds penned by different key stakeholders (employers, teachers, judge, doctor, etc.) in the community all talking about why expanding early childhood is critical to meet the community’s needs. Your communications plan should include the different channels (social media, newspaper, radio, text, mailings, etc.) that residents use to gather information. In a parent survey (our potential client for early childhood services), we asked them where they get their information and their preferred method of communication. Based on this assessment, develop a start-up marketing plan and community education plan for the proposed new program that will meet participation goals and engage the key stakeholders and partners in the community. 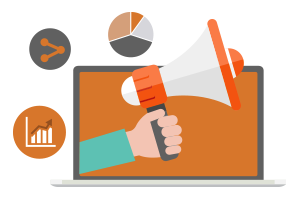 Check out this blog for tips on creating an op-ed campaign and this blog for getting media attention. Completing a feasibility study may seem unnecessary or slow down your timeline, but the time you invest up front will see a return in a well thought out model that will be set up for success and to accomplish your goals. Completing intentional design through the PDSA model is a critical differentiator for Transform Consulting Group and many clients point specifically to this process improving their own internal operations which accelerates impact. Contact us if we can help you complete a feasibility study! How to use 990 tax forms for grant writing? Writing grants can be a long, arduous process. In this past blog, we talked about five steps for grant writing. 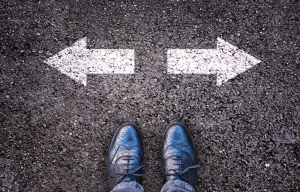 Once you have identified possible funders who share alignment with your organization’s mission and goals, you want to gather more information to make a compelling grant request. Who have they funded in the past? How much have been their grants? What have been the projects / services funded? This research is not an absolute that would change your grant proposal but would help inform the overall approach and priorities to pitch. In general you want to know the types of organizations that they have funded in the past to see if you fit into the category. For example, if the funder has only supported direct service organizations then they may not fund an intermediary organization. You would still want to ask the funder to make sure you fit their description of possible grantees but this might provide some good insight. Secondly, it is really important to find out their typical grant funding range. You don’t want your ask to be too small when you could have asked for a higher amount based on their past funding. At the same time, you don’t want your ask too large if that is well beyond what they have funded. Again, you still want to talk with the funder about what you are proposing, the need and an appropriate amount. Third, it is helpful to see the types of projects that they have funded. Typically, the funder will list acceptable areas of focus and uses of the grant funds. However, sometimes that information is not readily available. For example, would the funder support capital projects, capacity building projects for the organization, or the types of direct services? Fourth, grant writing is so much more than the technical writing and submission of grant applications. It is really about building a relationship with the funder and grantee. The funder is a partner and extension of the work of your organization. As such, you will want to build a relationship with the funder including the staff and members of their board of directors. Some funders do a good job of including this information on their website. However, we find that not all of this information is readily available. A great tool that we turn to is finding the funder’s “Form 990-PF” tax return. What is Tax Form 990-PF? Tax exempt organizations must file some version of the Tax Form 990 with the IRS each year to maintain their standing. Non-profit organizations file Form 990, and private foundations file Form 990-PF. The “PF” stands for Private Foundation. The 990-PF provides fiscal data for the foundation, names of trustees and officers, application information, and a complete grants list. The last item is most helpful for your research. The funder lists all of the organizations who received a grant in the past calendar year. It essentially answers the three items listed above: who they founded, how much and for what! The 990-PF can also be useful for relationship building with the funder. For example, an organization’s Form 990 includes the contact information for the private foundation if they do not have a website. In addition, the 990 provides the names of the people on the board and the officers whom you might know and start to build relationships. Where can you find the Form 990-PF for Funders? 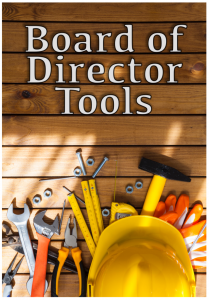 In today’s information age, there are some great online tools to find organization’s 990s. Search Engines: You can search an organization’s 990 through different online search engines, such as Google by using keywords. Funder’s Website: Some funders will post their past 990s directly on their website, so start there. Foundation Center’s 990 Finder: they have developed an online search tool specifically for 990s. There are other organizations, such as Charity Navigator, that post 990s but they link back to the Foundation Center. If you are looking to increase and diversify your funding through grant writing, contact us. We would love to learn more about your goals and see how we can accelerate your impact! Organizations – public and private – go through different stages of development. During this life cycle, it is not uncommon for an organization to update or modify their programs and services. At the same time, however, some organizations can be stagnant and need to update their programs. How do you know when it is time for your organization to refresh your program? Below are three questions you should ask yourself to determine if it is time to update your program. Are we making the impact that we hoped to make? Is our program aligned with the latest research? Is our program meeting the needs of the target population? If you answer no to any of these questions, then it might be time to seriously review your program. 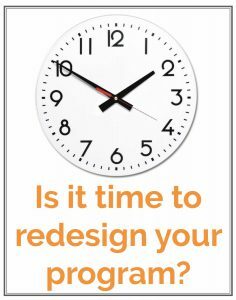 You may not need a complete redesign of your program, but it’s time to reevaluate. When we have worked with other organizations to help them improve their impact by updating their program model, there have been a range of changes that we proposed implementing to achieve their results. Clarify the target population – We learned that the target population to enroll in and receive this literacy tutoring program needed to be more focused. Students who were reading just below grade level benefited the most from this program. Students who were more than one grade level behind were not a good fit for this type of tutoring program. Strengthen the curriculum and training – Since this program relies on volunteers – non-professional educators – to deliver the tutoring, the curriculum is critical. After researching other effective literacy tutoring programs delivering the impact we had hoped, we saw a theme in the curriculum and instructional practices that they were implementing. We adopted a specific model of instruction and updated the training for volunteers. Expand the capacity – The need for this organization’s work was high in the community, but their ability to meet the need was limited to the available volunteers. They were interested in expanding their capacity through AmeriCorps members who would be able to significantly expand the number of students enrolled in and benefiting from the program. We helped them determine how AmeriCorps members could enhance the staff capacity of their program and restructure the program model. Develop new curriculum – Over the years as new staff have worked on the program, the curriculum had “evolved” into a hodge podge of worksheets and lesson plans that were slightly modified each year. There was not a clear alignment of the curriculum with the identified outcomes. Rather than modifying what they had in place, we decided to start over in developing a new curriculum that clearly aligned to the outcomes and would be “turn key” for staff to implement. Align multiple programs – This organization operated a school-year program as well as a summer program. Both programs shared similar objectives of helping get more first generation college graduates. However, they operated as two separate programs. We initially started to focus on the school-year program but quickly realized that the “dosage” or impact potential with the summer program was much more focused (40 hours x 6 weeks = 240 hours of “intervention” versus 1.5 hours x 32 weeks = 48 hours of “intervention”). When we combined the two programs as one overall program, we expanded the “dosage” exposure as well as the possibilities of impact. 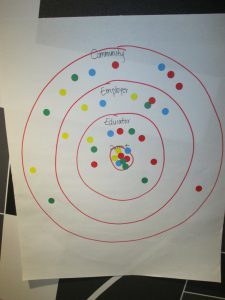 Focus the target population – The organization was working with multiple schools across a city. In some cases, it was a middle school in one district and a high school in another district. Instead, we targeted 2 districts and ensured that we had the middle schools that fed into the high schools for continuity purposes since this program enrolled 7th – 12th grade students with the goal of students enrolling each year. This change provided efficiencies for the staff and also helped ensure that the students targeted for the program would receive the greatest exposure of enrolling multiple years. In today’s information era, there is more research that is available to inform our work and ensure that we are implementing best practice strategies to affect change. In addition, the populations and communities that organizations are serving are changing, and need to evolve with them. Lastly, local, state and federal policies and priorities are shifting. Organizations that can adapt to this changing environment can grow and potentially expand their impact. If you want help assessing the shifting landscape in your community or industry, or you answered ‘no’ to one of the three questions above, then contact us. We would love to learn more about your program and goals to see how we could support you.